80 international delegates attended the three day meeting, which focused on fostering closer collaboration across countries and regions, and facilitating dialogue about issues of common concern. As open access and open science become more widespread, repositories play an increasingly important role in the ecosystem, acting as the foundation for a distributed, globally networked infrastructure for scholarly communication, on top of which layers of value added services will be built. COAR aims to ensure that the repository community is aligned around common goals, and collectively makes progress towards this vision. One of the major highlights of the meeting was the launch of an International Accord for Repository Networks. The accord, which was signed by 8 regional organizations, will lead to greater alignment of repository networks, and strengthen the distributed, community-based open access infrastructure around the world. By working together, the regional networks will ensure their services are interoperable, providing a more seamless, global view of research results. They will also work together to support the regional adoption of common technologies and services. During the meeting, participants learned about recent developments in the area of open access around the world. Significant progress has been made in terms of the adoption of services and infrastructure in many regions, and most countries now have policies and laws that require open access to research articles through repositories. The delegates also discussed other strategic issues such as how to support research data sharing, the future of libraries, and improving the visibility and impact of research results. A good portion of the meeting was devoted to a discussion about the work that COAR is doing to define new functionalities for the next generation of repositories. The widespread deployment of repository systems in higher education and research institutions provides the foundation for a distributed, globally networked infrastructure for scholarly communication. However, to remain relevant, there is a need to update repository systems with new technologies and implement a wider range of functionalities. The COAR Next Generation Repositories Working Group presented a number of scenarios for the future of repositories, including peer review and commenting on top of repository content, social networking functionalities, and better workflows for users. These scenarios will guide technological recommendations of the working group, that are expected to be published in the summer 2017. 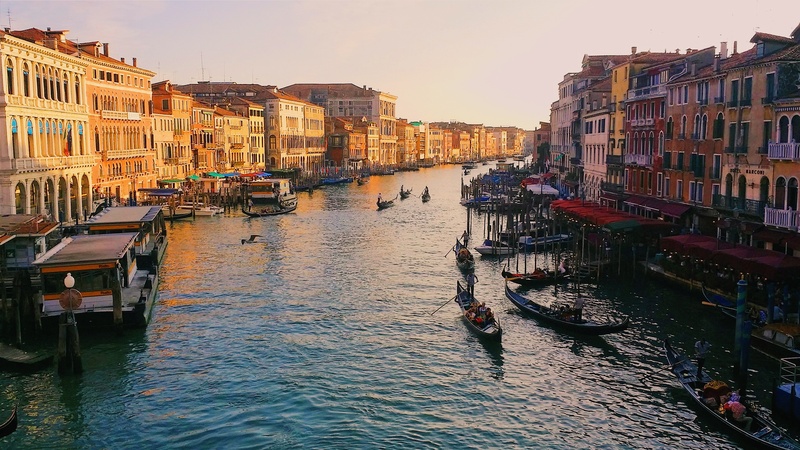 In addition to the stimulating discussions and presentations about the future of research communications, conference delegates were highly impressed by the beautiful architecture of the Università Ca’ Foscari, and the wonderful views from the venue of the canals of Venice. The meeting closed with great appreciation and thanks to the hosts at the Library System of the Università Ca’ Foscari for their hospitality. The meeting presentations are available on the programme page, and videos of some of the sessions will also be available in the coming weeks.